What happens when you file for unemployment and your employer contests your claim? In most cases, the company contests your claim because they don’t believe you are eligible to receive unemployment benefits. Some typical reasons for unemployment disqualification include when an employee is fired for cause, when the employee quits, or when they were considered a contractor rather than an employee. Of course, you never expect to lose your job or to need to apply for unemployment benefits. If you find yourself in this situation, you may be surprised to find your employer contesting your claim. It can be beneficial if you are someone who keeps careful, complete records of events and correspondence at work. You will be better prepared if your employment situation changes unexpectedly if you have documentation available to support your interests. If your employer contests your claim for unemployment, your case will be reviewed by an investigator from your State Department of Labor. The investigator will analyze the information provided by the employer and may interview the employer to gather additional insight. You may be contacted by phone or asked to come to the office and answer some questions about the circumstances surrounding your separation from the job. Make sure that you respond quickly, thoroughly and honestly to any requests for information. The assigned staff from the unemployment office will then determine whether or not you are eligible for benefits. If you are accepted for benefits, the employer can still request a hearing to appeal the decision. If you are denied benefits, you will receive a written notification of that decision which will include information regarding your appeals process and the deadline for filing an appeal. The appeals process will vary by state. Contact your State Unemployment Office for a determination on your specific circumstances and how appeals are handled your state. The information can usually be found on the state unemployment website, but don’t hesitate to contact the office with any questions or if you need clarification. A legal representative can accompany you to the hearing and provide advice, but you will be required to present your case. You can bring witnesses who might counter any claims that the employer may be making as grounds for denying benefits. Your employer can also bring witnesses to support their position. Be sure to bring copies of any documentation that might be used to negate claims by your employer of misconduct. 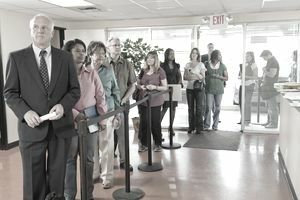 You must continue to file weekly claims throughout the appeals process if you wish to receive benefits for those weeks. The more documentation you can provide to support your claim for unemployment benefits, the more likely you will be to prove your eligibility. You should assemble any doctor’s notes, emails, human resources files, letters from supervisors and colleagues and any other supporting evidence of the legitimacy of your claim. Your employer will be required to do the same, and the appeals board will make a determination of whose claim will prevail. Both parties are allowed to appeal the decision, and the appeals board will determine the outcome during a hearing. You will need to attend every meeting, or have a written legitimate excuse, or you risk your case being thrown out. Be sure to file your appeal within the deadline, and continue to file for benefits while the appeals process plays out, or you will not receive benefits during that time.